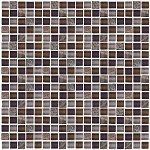 Approximate Tile Size :12 1/2" x 12 1/4"
Drift away from your worries about finding the perfect mosaic. 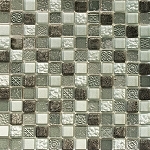 Driftwood Seaglass features glass pieces in both a frosted and pure finish accompanied by stone pieces. 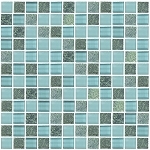 The wave like pattern transports you to somewhere relaxing, making this the perfect mosaic for your at-home oasis. 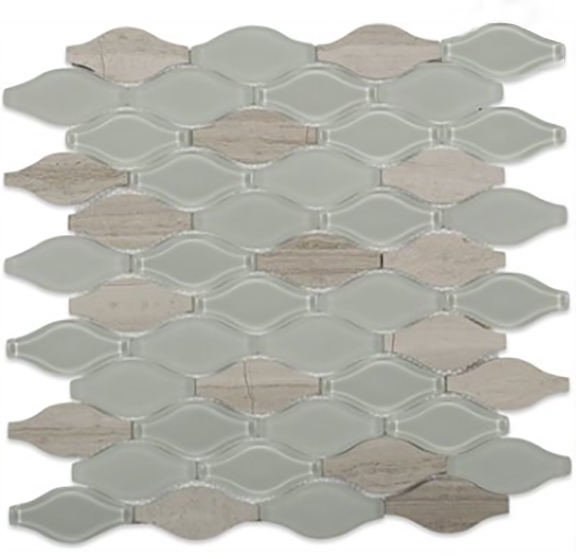 Suitable for kitchen back splashes, shower enclosures, and more, Driftwood Seaglass is the perfect addition to your tranquil spa-like project.